I’ve used Blogger for a long, long time for my personal blogging, including 87 posts that chronicled our adoption of our children from Kazakhstan in 2005. But 2005 was a long, long time ago, and Blogger really just hasn’t grown or otherwise improved much since then. Yes, it’s still easy to use, but WordPress is just as easy to use, and has 100x the flexibility, plugins, and other features and functionality that any blogger really needs. So now I’m in the process of migrating this blog from Blogger over to WordPress. This URL will remain the same, but lots of other stuff will change. Here are the 5 major differences I see as I move this blog from one blogging service to the next. WordPress is easy to use, once it’s setup, and now every major hosting service has a simple one-click WP install function, so the setup is now simple, too. This piece used to be Blogger’s advantage. No more. WordPress has hundreds of thousands of plugins for every functionality imaginable for your blog: social, SEO, HTTPS, RSS, you name it. Blogger has a handful, unless you want to make your own. I don’t. WordPress has thousands of themes. There are a lot of themes out there for Blogger, but they are not as easy to find, download, and install. Google is usually very good about such things. Not here. WordPress is very well documented and supported. 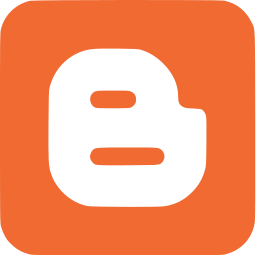 I’ve used Blogger since 2004, and the support you might get from Google falls far short of what you can expect from a Plugin or Theme developer for WP. The migration of an existing site – with hundreds of posts – has proven to be very time consuming. Blogger has an export to XML function which works just fine, but isn’t necessary with the Blogger Importer plugin for WordPress. However, “tags” in Blogger become “categories” in WordPress. Not optimal. In the end, it’s the themes and plugins that did it for me. With the changes I want to make to my blog, Blogger just didn’t cut it. Frankly, Google, it seems as though you made Ev Williams rich many years ago, and then put Blogger on a shelf, thinking you had won. You didn’t win. You quit. Hello WordPress (soon). Next PostNext Attack of the Atlanta code schools!